How did German intellectuals react to unification and how have they conceived the country's national identity and its new interantional position? This important book not only examines changing notions of nationhood and their complicated relationship to the Nazi past but also charts the wider development of German political thought since the Second World War - while critically reflecting on some of the continuing blind spots among German writers and thinkers. Muller explains why many intellectuals reacted defensively to unification and why unification plunged the Left in particular into a major crisis that has yet to be overcome. He analyses the responses of Gunter Grass, Jurgen Habermas and others of the so-called 'sceptical generation', who broke with the tradition of the illiberal interwar intellectuals and reinvented themselves as a 'democratic elite' who sought to transform political culture after the War - and tried to do so again after 1989. 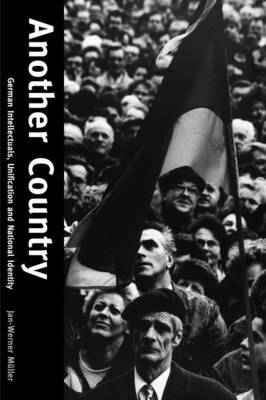 He discusses the German idea of 'constitutional patriotism' as well as the anti-nationalism of the 'generation of 1968', and provides the first full-scale analysis of Germany's 'New Right'. Written clearly and elegantly, this book assesses the acrimonious debates about the future of the nation-state and public memory in Germany and offers more general reflections on the role intellectuals can play in post-totalitarian societies. Jan-Werner Muller is a fellow of All Souls College, Oxford. He has held a senior visiting fellowship at the Remarque Institute, New York University and is currently a post-doctoral fellow at the Center for European Studies, Harvard University.